One of the most significant social developments within Northern Ireland over the last 20 years has been the development of integrated schools. Integrated schools can best be described as the bringing together in one school of pupils, staff and governors, in roughly equal numbers, from all religions and none (in the context of Northern Ireland, the bringing together of both Protestant and Catholic traditions is especially relevant to the process of peace and reconciliation). In integrated schools, one religious or cultural group is not valued over another. All are equally valued and celebrated. Integration is also about inclusion of children of all abilities and all socio-economic backgrounds. It is about cultivating the individual’s self-respect and therefore respect for other people and other cultures. Integrated education means bringing children up to live as adults in a pluralist society, recognising what they hold in common as well as what separates them, and accepting both. Over the years integrated education has attracted its fair share of both supporters and detractors and the growth of the integrated sector has not been without opposition. Opinion polls however continue to show widespread support for the concept of integrated education and this is demonstrated by the increasing number of parents all over Northern Ireland who seek integrated education for their children. 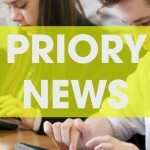 Priory – a school transformed and transforming. In the period from 1995 a number of schools in the controlled sector considered transformation to integrated status. Schools proposing to transform are required to have a minimum of 10% of their incoming enrolment taken from whichever is the minority community in the area. The Department of Education expects this figure to increase over time and schools must achieve an overall balance of 70:30 within a period of ten years. The challenges facing a transforming school should not be underestimated and it is recognised that change may be a slow and gradual process if it is to be brought about without the alienation of members of the school community. Holywood High School transformed to become Priory Integrated College in 1997. At this time the Integrated Education Movement was promoting the transformation of existing schools to integrated status as an alternative to the very expensive founding of new build schools. The process of transformation began with funding provided by the Integrated Education Fund. Without the generosity of IEF donors the process to consider transformation would never have started. 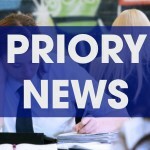 It involves consultation with parents and pupils including information evenings where those in attendance are urged to voice any concerns and finally a secret ballot is conducted among all parents, run by the Electoral Reform Society. The parents of Holywood High School voted overwhelmingly in favour of transformation, by the highest margin in any parental vote in any transforming school, and the necessary development proposal was submitted to the Education and Library Board and Department of Education for consideration. The proposal was approved with a Department of Education condition that the school should aim to achieve a religious balance of 70:30 where 30 is from the minority community in the school’s catchment area. 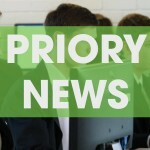 Priory Integrated College today is a diverse and welcoming environment for pupils of all religions and none, from all cultural and social-economic backgrounds and of all abilities. The college's religious balance compares favourably with the demographic pattern of East Belfast and North Down, with well over 30% of its pupil intake from minority communities throughout the area..